A vase to be hung outside, with holes and supports for garden birds. 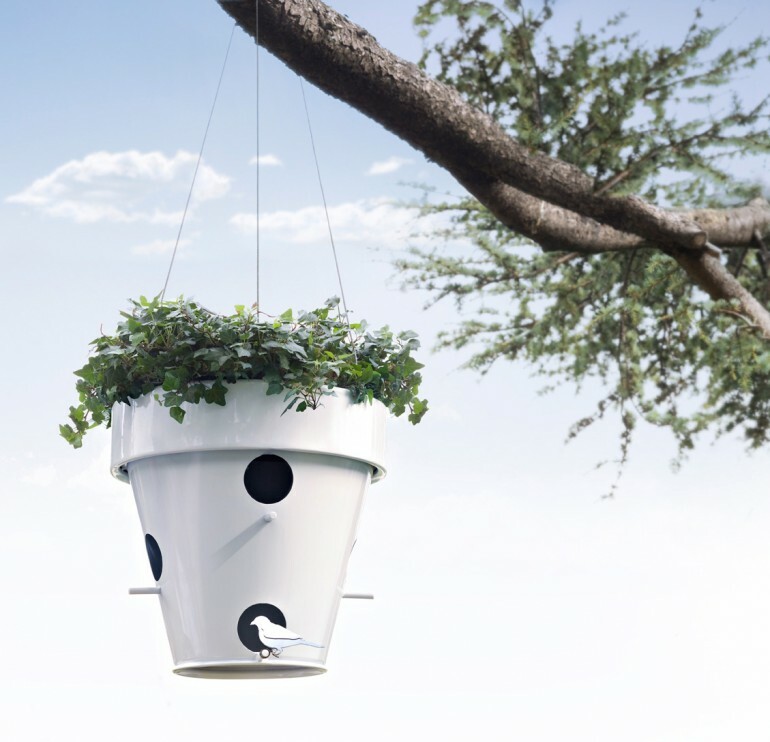 An eco accessory which contributes to keeping the natural and domestic habitat alive. The upper part is shaped to hold a plant.